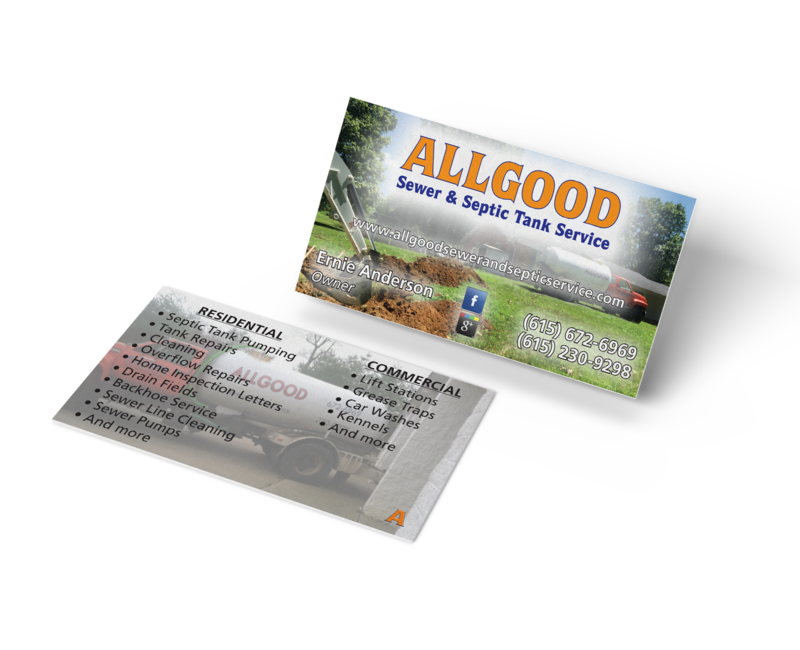 Allgood Sewer and Septic Tank Service, based in White House, TN, needed an updated. The company’s growth and professional work was not reflected in their logo, business card, invoices or marketing materials. With the new logo a unified look was born. The logo, colors and fonts were carried throughout all of Allgood’s printed materials giving them the unified, cohesive professional look desired. And it carried through seamlessly to their online presence. Silver Cricket Designs continues to work with them to maintain social media and online presence.